Go by Rail! See Britain by Train! In the early twentieth century, British railway lines used catchy slogans and enticing artwork to attract riders. Facing heavy competition from automobiles and buses, the rail companies set out to increase ridership via advertising campaigns that appealed to tourists and locals alike. Accomplished illustrators—some famous, others little known—were hired to create posters that would spark the imagination and inspire travel throughout Great Britain. 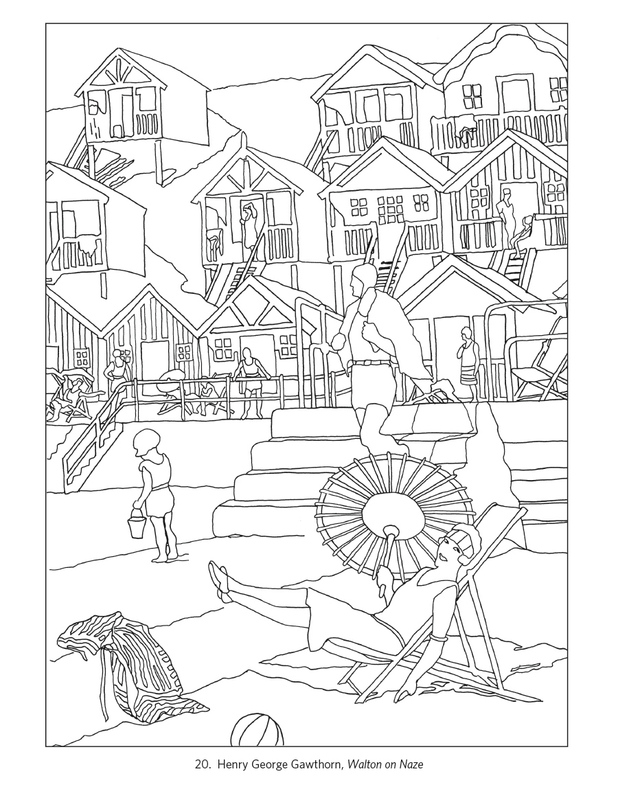 The resulting posters featured historic castles and charming rural settings, bustling cities and seaside resorts. 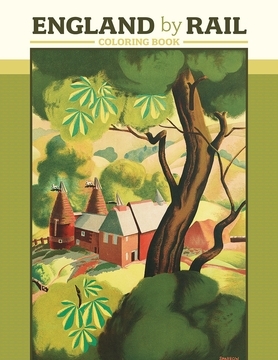 For your coloring pleasure, this book contains line drawings tracing twenty of these early British travel posters. 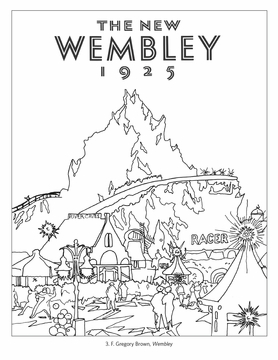 The original full-color posters are shown as small pictures on the inside front and back covers. Maybe you’ve been to one or more of these places, or maybe you’ll visit them someday. Which poster designs attract your attention the most? We’ve left blank pages at the end of the book so that you can design a poster of your own—perhaps a place of interest near where you live? Leonard Richmond (British, 1889–1965), Royal Tunbridge Wells, 1932, 40 x 24⅞ in. Blossom Wood, Royal Windsor, c. 1935, 39¾ x 25 in. 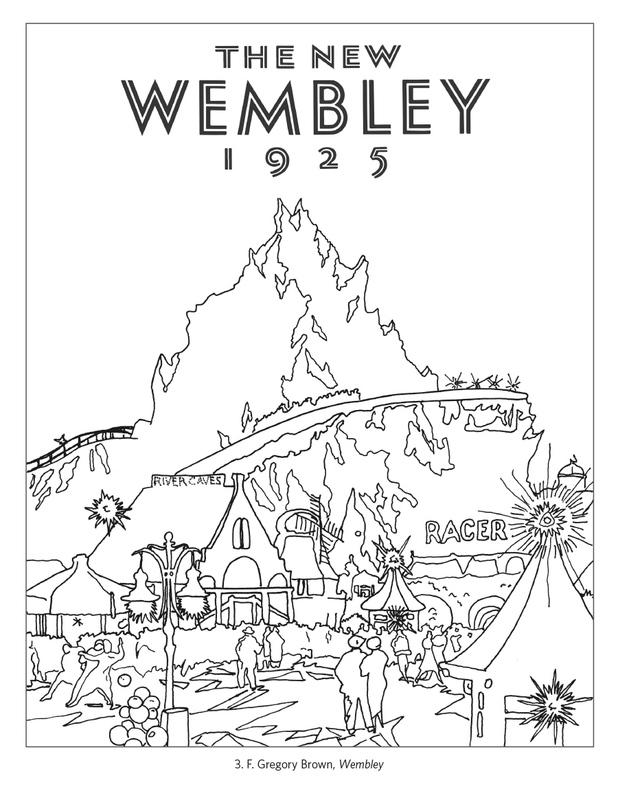 F. Gregory Brown (British, 1887–1941), Wembley, 1925, 39¾ x 23¾ in. Fred Taylor (British, 1875–1963), Whitby, c. 1930, 40 x 25 in. Frank H. Mason (British, 1876–1965), Ullswater / English Lake-Land, c. 1930, 40 x 24¾ in. Leonard Richmond (British, 1889–1965), Dover, 1931, 39¼ x 24¾ in. Frank H. Mason (British, 1876–1965), Havens and Harbours on the L.N.E.R. / King’s Lynn, 1931, 40 x 25 in. Clodagh Sparrow (British, 1905–1957), Live in Kent and Be Content, 1937, 39½ x 24½ in. Frank Newbould (British, 1887–1951), London, 1939, 38¾ x 25½ in. Ellis Martin (British, 1881–1977), The Cornish Riviera, 1924, 40 x 25 in. Frank Newbould (British, 1887–1951), [Windsor Castle], c. 1935, 40 x 50 in. Stobbs, Norfolk, 1959, 39¾ x 25 in. Frank H. Mason (British, 1875–1965), Withernsea, 1930, 40 x 25 in. Leonard Campbell Taylor (British, 1874–1969), Droitwich / The Brine Baths Spa, 1925, 39½ x 49¾ in. BAN, Scarborough, 30 x 20 in. Leonard Campbell Taylor (British, 1874–1969), The Peak District / Peveril Castle, 1924, 39½ x 49½ in. Unknown designer, Torquay, 1927, 39¾ x 24¾ in. Edward Wesson (British, 1910–1983), Huntingdonshire, c. 1955, 39¾ x 49¾ in. Norman Wilkinson (British, 1878–1971), London / Whitehall from St. James’s Park, c. 1930, 37½ x 47½ in. 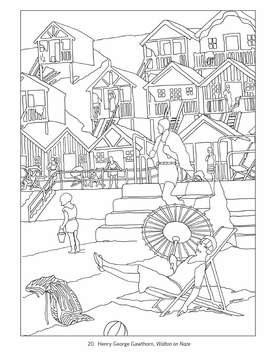 Henry George Gawthorn (British, 1879–1941), Walton on Naze, 40 x 24¾ in.